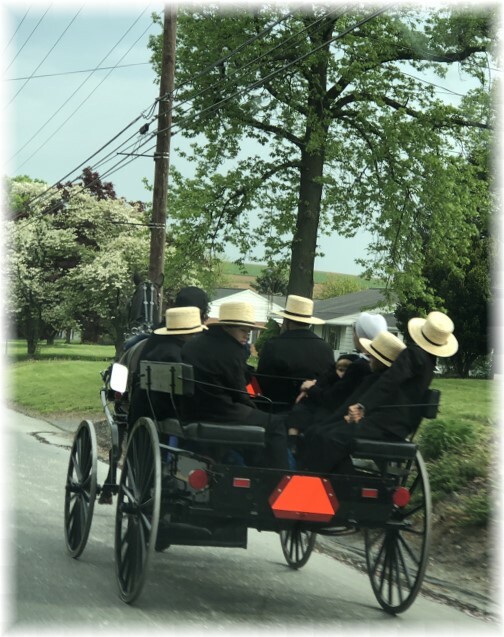 We had lots of traffic on the roads yesterday as the Amish and old-order Mennonites traveled to their Ascension Day services. Message summary: Today we thank God that His energy is indeed eternal and never is lacking when we look to Him for spiritual zeal. “He is the One we proclaim, admonishing and teaching everyone with all wisdom, so that we may present everyone fully mature in Christ. To this end I strenuously contend with all the energy Christ so powerfully works in me” (Colossians 1:28,29). Energy drinks are popular consumer products that supposedly give you an energy boost. These products must sell well since you see them practically everywhere. One of the most popular seems to be one called “5 hour Energy” which apparently gives a 5 hour energy boost. I tried one of these and all it did was give me the heebie jeebies. Actually products like this have been around for quite a while, just different incarnations. When we were children a popular product marketed to the older people was “Geritol” which supposedly helped with “iron poor blood”. At that point in life we had lots of energy and just couldn’t imagine what in the world these ads were talking about. Now we are beginning to experience it! The other day we were in a store and saw a product called “Eternal Energy” which is quite a remarkable claim! 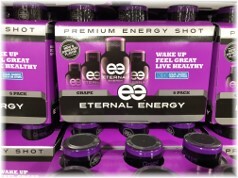 I’m not sure just what to make of a product that would give me “eternal” energy! 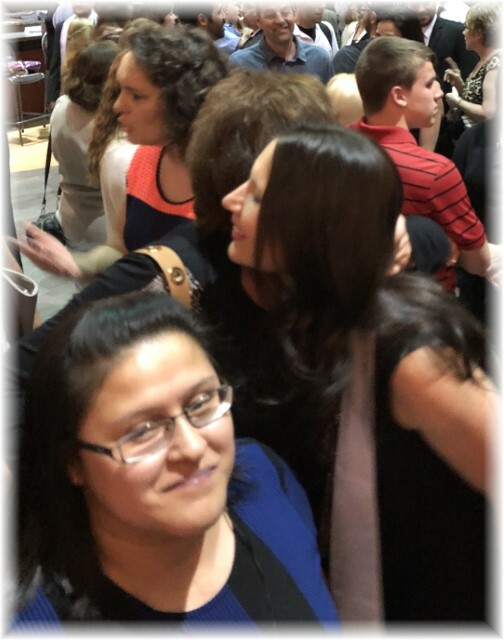 Wednesday evening we went to an ordination service in Reading, Pennsylvania. It was great to see a variety of ages, racial and ethnic backgrounds committing their vocational service to Christ. It was also a blessing to visit with many long-time ministry associates who have been contending for the Gospel for many years. A feature of the service I really have come to appreciate is when they honor the Jubilarians, a term used for those celebrating 50 years of ordination. This year there were three men who were asked to step up to the platform for this honor. Especially touching was one minister whose very frail wife slowly made her way to the platform so she could stand beside her husband. People who exhibit steadiness and faithfulness are virtues I have always appreciated but increasingly so as the world just gets crazier and crazier. Where does the energy come from? This amazing apostle whose heart was consecrated to God, with his indefatigable journeying night and day, through shipwreck and hardship of every kind, working with his hands, traveling up and down the length and breadth of the entire Roman empire, is ceaseless in his evangelistic endeavors…but he is ever conscious that it was only as he was empowered by the Lord that he was able to serve Him at all. Today we thank God that His energy is indeed eternal and never is lacking when we look to Him for spiritual zeal. Daily prayer: Father, in view of Your mercy we offer our bodies as living sacrifices, holy and pleasing to You which is our spiritual act of worship. Over the years our physical strength declines but our spirit is renewed day by day, since we are not to be lacking in zeal, but keeping our spiritual fervor, as we serve You. As living sacrifices we are not given to slothfulness, complacency or indifference, for we must remain faithful in our service for Christ, reaching the lost with the gospel message, using our gifts according the grace given us, while we choose not to be overcome by evil but we overcome evil with good. Amen. 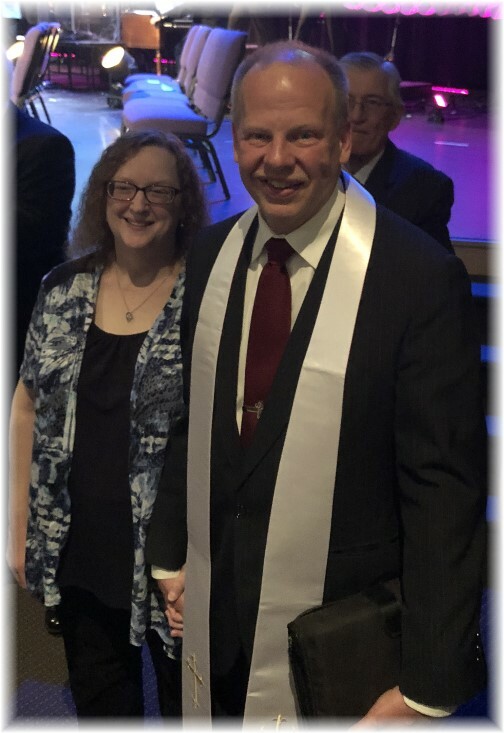 Wednesday evening we went to an ordination service in Reading, PA at the invitation of John Uhler who is a “Living History” chaplain. See here. 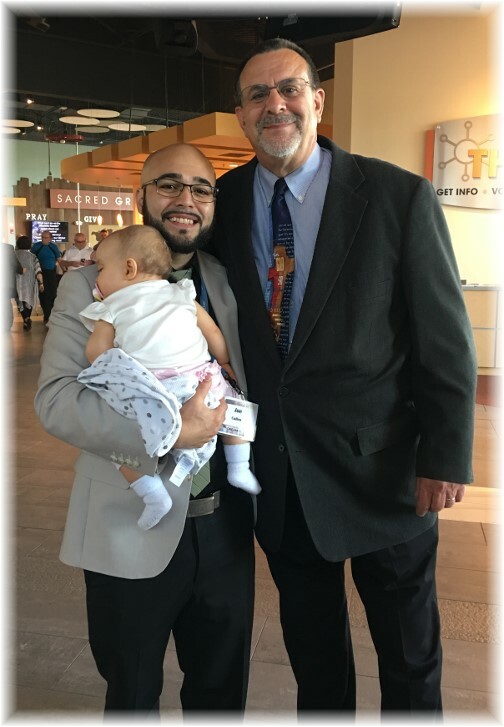 I had the blessing of standing behind John as a sponsor at the service as he was ordained. Ester is smiling as she is expressing how pleased she was of her cousin Gretchen’s achievement. 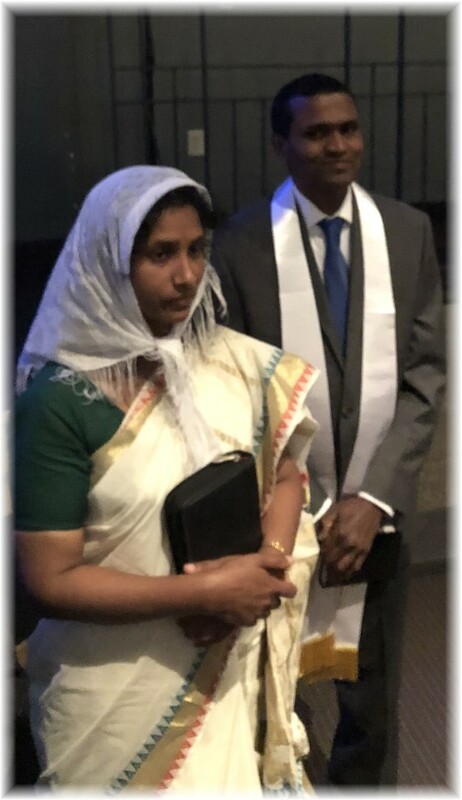 Saji Varghese is the pastor of an Indian church in Pittsburgh. 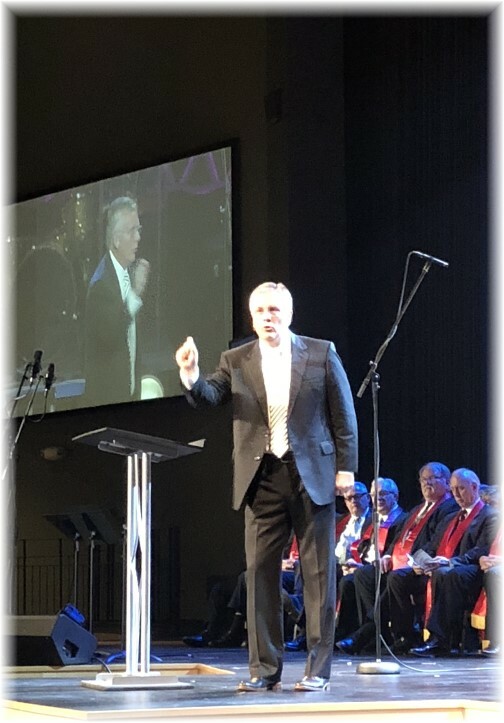 It was wonderful to hear a solid Bible-based message from our new General Superintendent, Doug Clay. I visited briefly with David Selleck who was my Presbyter (supervisor) when I served a church in northern PA beginning in the late 70’s. He is now 91 and still drove down by himself from his home in Clarion, PA about 3½ hours away. (His wife died about ten years ago.) 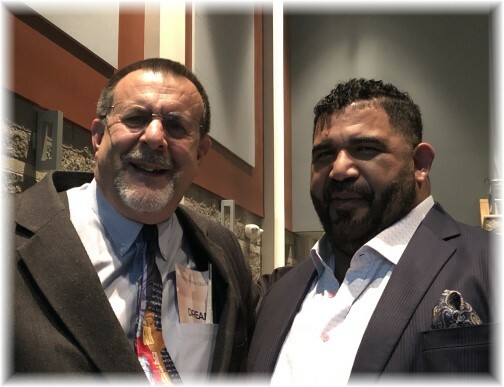 I recognized he was in the service in the large auditorium when I heard his very distinctive “Amen” during the sermon! After the service was over I sought him out. 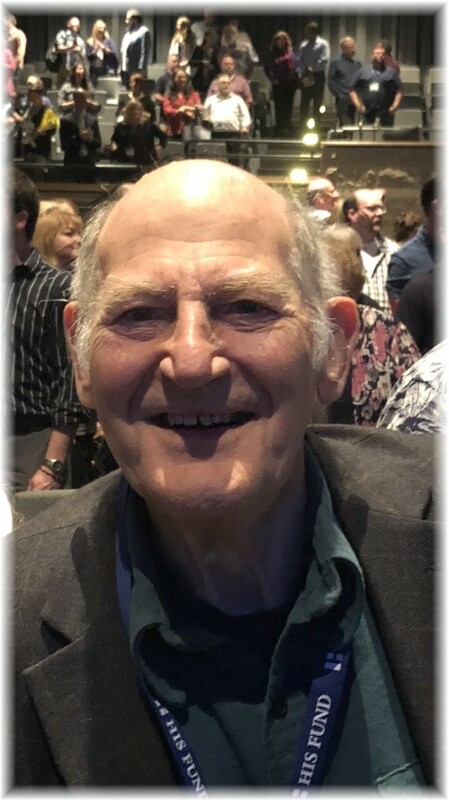 A nice feature in these services is not only the ordination but the recognition of those who have been ordained for fifty years whom they call “Jubilarians”. 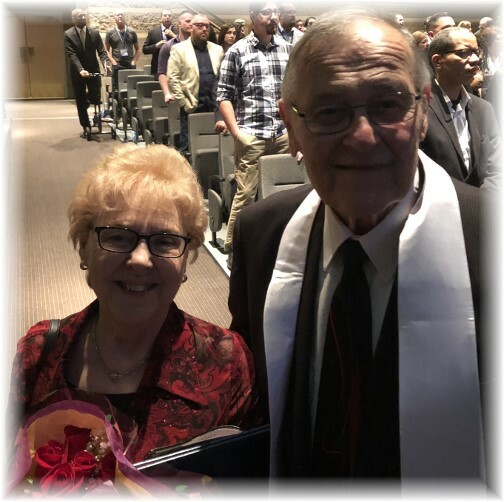 One of the three Jubilarians recognized this year was Al Pundt, whom I’ve had an association with some thirty years when we served on a committee together and more recently with Teen Challenge. 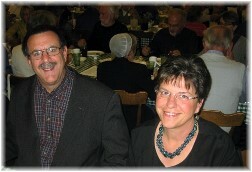 He is pictured here with his wife Darlene. 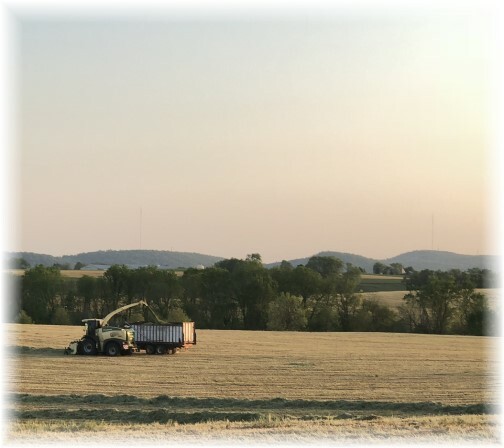 A scene from our neighborhood as they harvested the rye.